What is a 2 stroke engine? A 2 stroke engine is similar to the common 4 stroke engine, except that it completes the same four processes in two strokes of the piston rather than four. This creates a power stroke for every revolution of the crank, instead of every second revolution. Two stroke engines provide high power for this reason, and are often used in portable, lightweight situations, such as motors and chainsaws. When dealing with a 2 stroke engine, it’s important to use 2 stroke oil to ensure the engine will operate properly. As autumn ushers in the cold weather that can be destructive to outboard motors, boat owners should think about the steps it takes to prepare their vessels for winter. The first step in getting an outboard motor ready for the winter is to remove all remaining gas from the carburetor – either by adding a gas stabilizer and running the engine until it dies, or draining and storing the gas for next season. Once the gas has been emptied, it’s safe to remove the motor and begin draining and refilling the lower gear unit. Old gear lubricant should be drained from the lower gear unit and replaced with fresh lubricant to prevent rusting, freezing or breakage. The spark plugs should also be replaced when preparing an outboard motor for winter. Once they’ve been removed, an aerosol commercial fogger should be sprayed into the spark plug hole to prevent the piston and cylinder walls from corroding. After fogging the cylinder, rotate the engine flywheel to distribute the outboard motor oil on the cylinder walls, and finish with new spark plugs. And even though the gas has been drained from the motor, the fuel filter should be removed and cleaned to drain any remaining trapped gas. If these preparative steps are taken every year, your motor should be running smoothly when spring rolls around. A recent post focused on sterndrives, and Mercruiser by Mercury Marine is the most popular one available in America. Mercruiser exposes engine systems to rigorous testing in the toughest conditions to assist in the development of some of the strongest and most reliable sterndrive packages in the industry. They cast components in special alloys and utilize computer-controlled painting processes that have withstood immersion and corrosion testing. Mercruisers also include an expanded passageway in the exhaust elbow to prevent saltwater from clogging the system. The standard production gas sterndrive and inboard packages by Mercruiser are protected by Mercury Marine’s three-year limited warranty against corrosion failure. Check your operation and maintenance manual for complete information regarding warranty. Power steering is standard on all Mercruiser sterndrives 4.3L and larger and are optional on the 3.0L. 3- and 6-inch risers to further prevent saltwater clogging are optional on all Mercruiser sterndrives and inboards with the exception of the 3.0L. Remote oil filters are standard on all gas fuel-injected sterndrives, Bluewater inboards, diesel engines, and are available as a kit for all carburetor sterndrive models. There is an audio warning system mounted under the helm to alert the boater to low Mercury engine oil pressure, high engine temperature, and other potentially damaging engine conditions which is standard on all gas and diesel models, available as a kit on the 3.0L sterndrives. 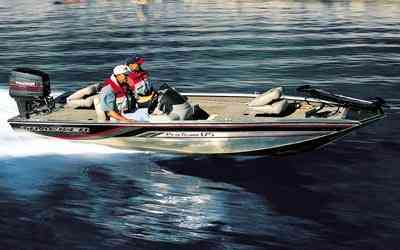 What is an Ultralight Boat? An ultralight boat, or flying boat, is a hang glider wing mounted on a small inflatable boat with an outboard engine. The hull is made to meet rescue boat standards, the hull is designed for crosswind landings, and there is the capability to connect a parachute for emergency purposes. In the United States, it is not necessary to hold a pilot’s license to fly a boat of this nature, but there are industry groups who regulate their operation, such as the United States Ultralight Association (USUA). There are different ratings that have to be earned to drive a craft such as this, such as that of a Basic Flight Instructor (BFI). If you live outside the United States, you need to check with local air authorities for the most current regulations being enforced in your area. There are many rules governing the flying of ultralight boats. If you are outside the U.S., you will need to check with local air authorities for your area. Inside the U.S., your craft cannot be rented out for profit, and it is unlawful to have a passenger aboard unless you are a rated instructor training a student. (Aerosports Connections has a website that may be able to provide more information on student training guidelines.) In the U.S., an ultralight boat may be flown in areas that meet requirements for ultralight aircraft, largely non-congested areas that are located in uncontrolled airspace. You may not fly near airports, nuclear plants, military bases, or cities, and you are not permitted to land your ultralight boat in state or national parks. It is also not generally a good idea to land on private lakes. The maximum cruising level for an ultralight boat in the United States is 8,000 feet, but many say 1,000 feet is an optimum altitude-trees can be cleared, but visibility is clear at this level, weather permitting. You must land and take off on water, and there needs to be about 200 feet of free water to take off or land and it should be an absolute minimum of six feet deep.In terms of ultralight boat safety, the best practice is to maintain the craft-keeping plenty of bulk outboard motor oil on hand–and respect the weather! Oil prices jumped more than $25 a barrel Monday – the biggest one-day price jump ever – as anxiety over the U. S. government’s $700 billion bailout plan and the weak American dollar continues. Crude oil for October delivery jumped as much as $25.45 to $130 a barrel on the New York Mercantile Exchange before falling back to settle at $120.92, up $16.37. Crude oil’s previous one-day price jump of $10.75 a barrel, set June 6 of this year, showed the intensity of emotion in the stock market. The Nymex temporarily halted electronic crude oil trading after prices breached the $10 daily trading limit. (Trading resumed seconds later after the daily limit was increased.) The November crude contract, which became the front-month contract at the end of Monday’s session, was trading at $108.69, up $5.94, still a sharp gain. Crude oil prices have gained about $30 a barrel in a dramatic four-day rally. At this rate, crude is within striking distance of its all-time record of $147.27, reached in July. Oil’s sharp gains came as energy traders grappled with the implications of the government’s proposed $700 billion initiative to stem the U.S. financial crisis by absorbing billions of dollars of banks’ bad mortgage-related securities. Anxiety over the plan also sent stocks sharply lower Monday; the credit markets were calmer than they were last week, but still showing the effects of investors’ nervousness. There is still a great deal of uncertainty about what long-term impact the U.S. rescue plan will have on energy demand. Oil’s peak prices in July and a weak U.S. economy has forced Americans to cut back on their driving and recreational use of bulk motor oil, also leading business to scale down operations. Evinrude is a leading brand of outboard boat motors founded by Ole Evinrude in 1909, who designed his first two-cycle, water-cooled, forward-facing, single-cylinder engine that year. 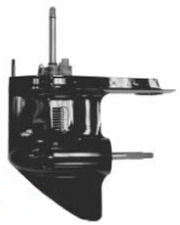 After improvements were made to Evinrude’s design, the motor went into production. The business changed hands a number of times over the years, and in 1936 became the Outboard Marine and Manufacturing Company after acquiring Johnson Outboards. Evinrude made motors for the armed services during WWII which were sometimes used to power rubber emergency rafts. When the war ended, Evinrude enjoyed great prosperity and continued to introduce new engines. Evinrude is owned today by Bombardier Recreational Products, who also owns the Johnson Outboards brand. Evinrude outboards primary use two-stroke engines and 2 stroke oil in their larger models using 40 horsepower or above and four-stroke engines in most of their smaller models. Until the late 1990s, Evinrude outboard motors used carburetors, but advances in fuel injection technology prompted the adoption of E-Tec direct fuel injection, which improved fuel efficiency, reduced emissions, oil usage, noise levels and maintenance demands. Doubtless inspired by the company, Evinrude the dragonfly was a featured character in the Disney film “The Rescuers”, where he used a leaf as an airboat in several pivotal scenes. A sterndrive, or stern drive, is a form of boat propulsion also known as inboard/outboard or I/O. The upper unit engine is located inboard, just forward of the boat stern, producing power by way of a shaft that goes through the stern to the lower drive unit (also known as the outdrive) located outside the hull, which resembles the bottom half of an outboard. The lower drive unit carries the boat propeller and contains gearing for the engine system. This unit controls the steering of the boat, as with an outboard motor. No rudder is necessary. The sterndrive engine itself is usually the same as those used in true inboard systems. The most popular sterndrive engines have historically been Chevrolet and Ford V-8 car engines that have been adapted for marine use. The most popular brand of sterndrive is Mercruiser by Mercury Marine, who also manufactures outboard motors and Mercury oil. Advantages of the sterndrive versus the outboard include higher available engine horsepower, a clean stern with no cutouts for outboard motor installation and no protruding powerhead, making for easier egress and ingress for pleasure boat passengers and more convenient fishing. Advantages of the sterndrive system versus outboards include simpler engineering for boat builders and space savings with engines mounted all the way aft, allowing more occupancy space for the boat’s passengers. Performance with sterndrives is better than inboards, due to the inherent loss of force with inboard propellers due to the angle of the prop shaft. The main disadvantages of sterndrives versus inboards is that their components–namely oil lines, hoses, and rubber bellows, some of which are in the water–are more vulnerable to corrosion and damage from being exposed to the elements. Maintenance on sterndrives is more complex than outboard maintenance in several ways. Sterndrive oil changes may necessitate complicated pumping mechanisms, and engine repairs are often difficult to perform due to tight engine compartment spaces. In some sterndrive boats, the entire engine must be removed to perform even simple repairs, whereas with an outboard motor, only removal of the cover is necessary. With both inboards and sterndrives there are fire and explosion hazards from fuel vapors within the engine compartment. It is recommended that these boats run a blower for several minutes prior to starting the engine, while idling, or moving below cruising speed. The blower circulates the fresh outside air inside the engine compartment and vice versa. Sterndrives have become sought after for use in pleasure boating due to their practical advantages and attractive costs, and there are many current boat product lines that include models for which sterndrive power is the only option for available propulsion. The U. S. Environmental Protection Agency is known as the EPA or sometimes USEPA. It is a federal governmental agency whose mission is to protect human health and take care of the natural environment, specifically air, water, and land. The EPA was the idea of President Richard Nixon and began operation in 1970, when it became solely responsible for United States environmental policy. It employs from 17,000-18,000 people, including engineers, scientists, environmental protection experts, and divisions specializing in law, public relations, financial matters, and computer specialists. The agency performs environmental assessment, research and education and is responsible for designation and enforcement of national standards while following various environmental laws in cooperation with state, tribal, and local government. The EPA allows some permissions and enforcement to be granted to individual U. S. sates and Native American tribes. EPA enforcement powers include sanctions, fines, and other measures. The EPA also works with all levels of government and various industries in voluntary measures to conserve energy and reduce the effects of pollution. Prior to the EPA’s existence, the federal government was not capable of the monumental task of regulating pollutants which caused harm to humans and the environment, so the EPA was given the task of repairing some existing environmental damage retroactively as well as establishing new criteria to promote the participation of America’s citizens in the making of a safer and cleaner country. Part of the EPA’s job is to prevent oil pollution by regulating containment, promoting spill prevention, and approve of marine engine oil components to ensure they are as environmentally friendly as possible. Yamalube oils are of such high quality that they often end up used as the standard test oil for many of the National Marine Manufacturers Association (NMMA) TC-W3® certifications. The long-term goals of the two-cycle outboard boating engine industry have been to reduce emissions from oil that has passed through engines, developing a quality of oil that reduces the necessary ratio of oil to fuel, and ultimately prolonging the life of the engine. When these goals are achieved, emissions are significantly reduced, which satisfies or exceeds EPA requirements. There are also less warranty and maintenance issues with customers in the long run. TC-W3® lubricant is an NMMA owned trademark. Evolving through the years with the help of exhaustive testing and research, it has not only proven to be the level of lubrication performance quality required, but has consistently exceeded EPA emissions reduction requirements as two-cycle outboard engines have moved toward higher cylinder temperatures and compressions and increasingly demanding conditions. NMMA sanctions only two cycle lubricants that meet or exceed stringent regulations in their own designated laboratories. Tests include a variety of performance-based measurements for fluidity, lubricity, viscosity, carbon buildup on engine pistons, and ring sticking. The chemical makeup of the TC-W3® oils vary due to the unique additive packages incorporated into each individual oil brand. TC-W3® oils are recognized worldwide as being recommended for use by two cycle oil makers. 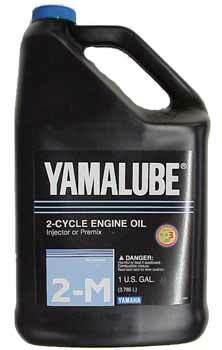 Yamaha 2m oil is a NNMA TC-W3® approved 2 cycle oil formulated for extreme performance and the most grueling conditions your outboard motor will face. It surpasses the TC-W3® requirements for outboard motor oil formulations, preventing varnish and wear, providing maximum rust and corrosion protection, and is versatile, appropriate for extended full-throttle, extended trolling, or everyday operation use. 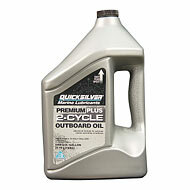 Since Yamaha 2m oil is formulated especially for outboard motors, it is not recommended for WaveRunner or sport boats. Coast Guard and California Department of Fish and Game officials responded to an emergency Monday morning that involved a leak of marine engine oil into Humboldt Bay, Calif., just inside of the Pacific Coast. The leak came from a large wooden-hull boat tied to a dock in the town of Fields Landing. Coast Guard and Fish and Game officials were on the scene in roughly 30 minutes to contain the spillage, which involved the use of absorbent pads and a diver being sent down to patch up the source of the leak. Officials said they had the situation under control and damage to the bay was kept at a minimum, though residents said they noticed a rainbow-colored sheen on the surface of the water. Authorities said the effects on the area’s wildlife were not clear. The name of the owner of the boat was not released. Just as consumers were starting to breathe easier, gas prices took a huge hit as Hurricane Ike slammed into the Gulf Coast over the weekend. Areas hardest-hit by the sudden and steep increase included Michigan, a state already riddled with economic hardships in Detroit. Statewide gas price averages in Michigan are now $4.17, which is $1.17 higher than they were a year ago, and 33 cents higher than the current national average. Hurricane Ike’s wake left 10 offshore oil platforms destroyed, and 13 refineries were idled in the state of Texas. Those refineries amount to roughly 21 percent of the nation’s total, and a significant overall chunk of domestic bulk oil production. However, this spike in gas prices is expected to be very short-term, as the price of oil is on a continuous decline. The price of crude oil was trading at $96.80 this morning, down more than $45 from its pinnacle price in July. The amount of motor oil used in a simple car oil change can contaminate up to one million gallons of water if improperly disposed of. Even still, an estimated 185 million gallons of used motor oil each year is dumped on the ground, poured down storm drains and thrown in the trash. This is why it’s important to know how to dispose of your motor oil after changing it. You can not only help the environment by doing this, but you can also conserve resources. Take your used oil and filter to the used oil collection center nearest you, and you’ll be doing Mother Nature a huge favor. 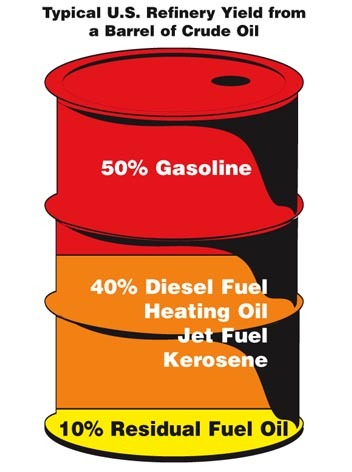 If your community doesn’t have a used oil collection center, check for an alternative location. These are often found at lube-and-tune centers, repair shops and dealerships. The US Department of Energy recently determined that over 80 percent of used motor oil that comes as a result of do-it-yourself activities – including oil changes – is improperly disposed of.